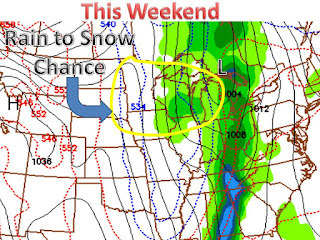 After the Holidays there is a chance of snow in the midwest. A low pressure will basically stall out somewhere over the midwest. Nearly impossible to forecast, this storm could bring a wide range to a wide area. 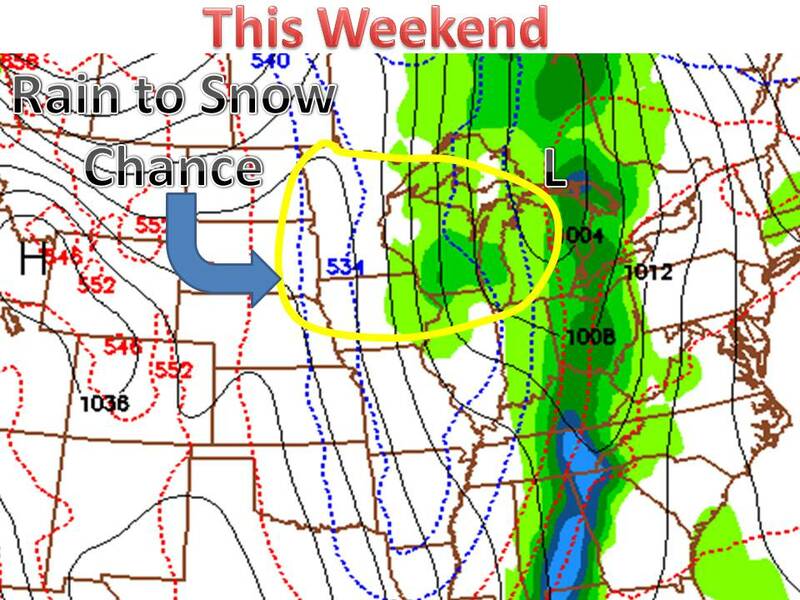 I circled the area where the computer models show a change of rain to snow. Stay tuned for updates! Also, see the last post for a WARM Thanksgiving.